Sofitel Ambassador Seoul offers the warmest winter vacation package "Warm Winter Package" for your cozy and warm urban winter vacation. The package is especially themed "Well-Being" with two types to choose from, A and B. The A type, 160,000won, features 1 night stay at Sofitel Club Floor, breakfast at the Lounge and Happy Hour service from 6 to 7:30 in the evening. Also, hand-made chocolate and cookies are available as Christmas gifts and free access to fitness club and swimming pool are included. The Guestroom, Club Floor Room is all equipped with Sofitel's exclusive "My Bed" made of goose down for your soundest sleep during the stay. The B type is affordably offered at 110,000won with one night at Advantage Floor Room and free access to fitness club and swimming pool. 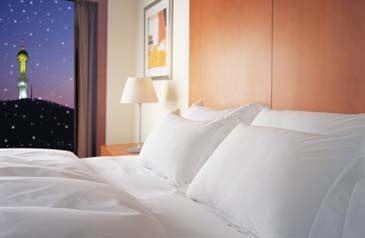 Reserve your package now and enjoy the benefits of the special well-being package prepared by Sofitel Ambassador Seoul. We guarantee your warmest winter vacation with our warmest features and services.